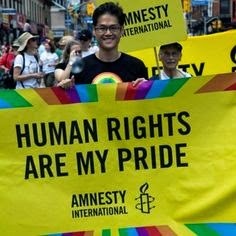 Amnesty International is calling on the European Commission to propose new standards to combat discriminatory violence on all grounds, including sexual orientation and gender identity, and on member states to support such an initiative. Nicolas Beger, director of Amnesty International’s European Institutions Office, said: “The daily and ongoing violence experienced by LGBTI people in Europe is a serious and heinous form of discrimination”. He continued: “However, there is a severe lack of adequate standards to tackle homophobic and transphobic violence both at EU and national levels. There is an urgent need for concrete EU action to duly protect the victims and prosecute the perpetrators accordingly”. Mr Beger added: “The EU must step up and strengthen its standards on hate crime. This is key to ensuring that any discriminatory motive is duly taken into account across the whole of the EU”.